Located 9 miles northwest of Pontiac in Oakland County, Indian Springs was established in 1982 to preserve the last major section of the Huron Swamp and is one of 13 Huron-Clinton Metroparks. 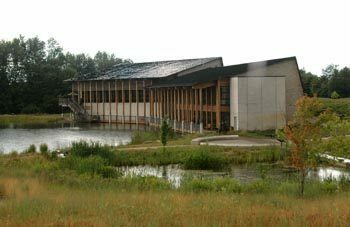 Much of the 2,215-acre park is dedicated to the preservation and interpretation of the natural environment and includes the Environmental Discovery Center. The heart of the park, however, is the swampy headwaters of the Huron River and is explored by a network of trails both paved and unpaved and on foot or by bicycles and inline skates. The park’s most popular trail is its paved Hike-Bike Trail that extends to the northwest corner of the park for a round trip of 8 miles. 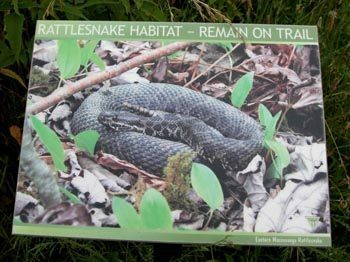 The sign said it all: Rattlesnake Habitat. Remain on Trail! Indian Springs may have a golf course, picnic areas, an Environmental Discovery Center and a Spray 'n' Play recreation area, but first and foremost it’s a swamp preserving the marshy headwaters of the Huron River. In this park Mother Nature is first, man-made amenities a distant second. Located 9 miles northwest of Pontiac in Oakland County, Indian Springs was established in 1982 to preserve the last major section of the Huron Swamp and is one of 13 Huron-Clinton Metroparks. Much of the 2,215-acre park is dedicated to the preservation and interpretation of the natural environment and includes both the Environmental Discovery Center. 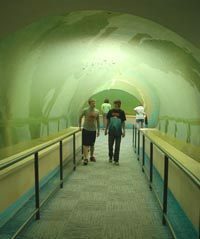 The EDC is a 20,000-square-foot building overlooking 60 acres of ponds, wetlands and prairies and is filled with exhibits and observation areas including an underwater pond viewing room. The heart of the park, however, is the swampy headwaters of the Huron River and is explored by a network of trails both paved and unpaved and on foot or by bicycles and inline skates. 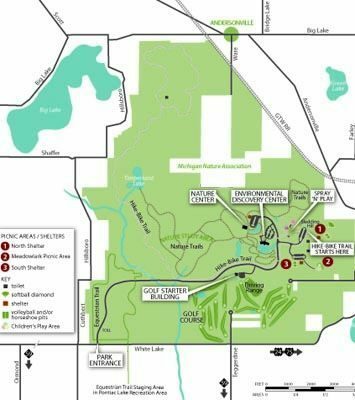 The park’s most popular trail is its paved Hike-Bike Trail that departs from the Meadowlark Picnic Area and extends to the northwest corner of the park for a round trip of 8 miles. Departing from the nature center are six miles of self-guided nature trails. Woodland Trail is the longest at 3.5 miles and the most interesting by far, leading you to Timberland Lake. Farmland Trail extends 1.5 miles to the east while Pondside Trail is a interpretive walk of only 0.3 miles along a hard surface. Departing from the EDC are the Discovery Trails, a series of three short trails, all less than quarter mile long. As is the case with all Huron-Clinton Metroparks, you’ll find the trails well posted and maintained with boardwalks and bridges to keep you out of the mud. Most of the foot trails are either mowed lanes or surfaced with gravel. During the winter the trails are groomed for cross-country skiing, totaling nearly 12 miles, when there is sufficient snow. The Meadowlark Picnic Area has two shelters that can be rented along with tables, grills, a wood playscape, volleyball court and horseshoe pit. Adjacent to picnic area is Spray N’ Play which children can get soaked in the water spray area, climb a rock wall or a cargo net, or find their way through a maze. The toddler area includes a painted labyrinth and a sand pit with oversized scoopers for digging. Indian Springs also features a 6,707 yard, par-71, 18-hole regulation golf course (248-625-7870) with a driving range and club rental.